Founded in 1998 and franchised since 1999, Comfort Keepers has been providing in-home care for seniors and other adults for over a decade. Comfort Keepers is a recognized brand in the industry, with over 670 territories throughout North America. The Comfort Keepers franchise network has grown in size by double digits every year since 1998. A large percentage of the growth generated is from successful franchisees purchasing additional territories. We offer protected territories for business penetration, and a strong commitment to cooperation between franchisees to build brand dominance. This is a caring business. Comfort Keepers change the lives of seniors and their families every day. The need for senior care will continue to grow for decades. Improved medical treatment and longer life spans suggests the growing need for senior care. Research supports the preference of most to age in one’s own home. Today family members often reside in other states, and other countries, creating the need for trusted care because family members live too far away to provide care. Providing quality, capable care is taxing. Family members need periodic relief from caregiving. Comfort Keepers offers the tools and support. With over a decade of franchise experience, we understand the support services that contribute to a successful franchisee. New Franchisee Training – Getting off to a good start is the first critical step to becoming a successful franchisee. Comfort Keepers provides new franchisees a comprehensive 5-week training session taught by subject matter experts. In addition, each new franchisee is assigned a New Business Coach to provide practical guidance in establishing the business. Ongoing Training Opportunities – Comfort Keepers provides ongoing training for franchisees and their staff through a variety of venues including one-on-one education, web-based modules, and groups of franchisees brought together for topic specific educational opportunities. 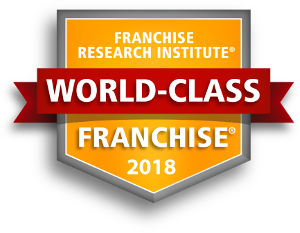 Operations and Sales Support – The Franchise Business Coaches provide field support, and along with centrally based subject matter experts, visit your office and assist in business plan development, business coaching, sales skills, and operational best practices for you or your staff. Brand Equity – The Comfort Keepers brand is recognized as the premier provider of in-home care in all of the markets we serve. As a Comfort Keepers franchisee, you can access professionally created and branded advertising and marketing tools. SafetyChoice™ by Comfort Keepers is a full suite of branded in-home safety technology that includes Personal Emergency Response Systems (PERS), medication management solutions, sensors and other items our franchisees can offer to their clients. SafetyChoice™ by Comfort Keepers is part of the core services and is included in the franchise. Are you ready to be a Comfort Keeper®? Successful franchisees have a variety of backgrounds: business, healthcare, technical, sales, finance, homemaking, and educating. The common denominators among successful franchisees are a willingness to actively sell and communicate Comfort Keepers’ services in the community and an aptitude for business. Some of the other characteristics of success include being a self-starter, able to follow a proven system, good management skills, and goal-oriented. You have the opportunity to generate tremendous change in your community by providing quality, loving, in-home care and potentially employing dozens of people. "I like the fact they respond very quickly to my requests. We have received support from the first day we became a franchisee." "I think that the ground work laid by the franchise has been good and provided an excellent platform for the non-medical home care industry. I also appreciate the high standards that they set for franchisees." "Neighbor franchisee have been extremely supportive and have assisted us greatly." "New Ownership seems invested in long term. Like the some of the tech coming down the line." "Our field representative has been awesome!" "I like our strong branding and marketplace presence. We have a solid history, along with a great overall quality reputation." "The collaboration between owners is second to none. The conferences put on by the organization provides timely networking between owners across the nation." "The field support staff assigned to my franchise is such an important part of my business. Also, on a corporate level, they plan for long-term growth by researching technology and elder care trends. The industry has evolved so much in the past 16 years, and I appreciate their understanding that change is constant and being a leader in elder care is imperative." To obtain your FREE report about Comfort Keepers, please fill out the form here.